I. To develop library movement with in the state. II. To improve the status and services conditions of library and information science professionals. III. To generate an appropriate public opinion for public library law in the satate. IV. To create reading habit among general public in the state. V. To co-ordinate with the Central Governent and the social organisations in the planning and execution of their policies towards mass education. VI. To take all such actions as may be identical or conducive to the attainment of the objectives of the association or any of them. The Association was founded during All India Conference held from April 19-22, 1935 at Lucknow. The Association's first president was Dr. Wali Mohammed and General Secretary Mr. Fazal Illahi. Due to lack of library consciousness among working librarians, the Association could not remain active for a longer time. Librarians of Allahabad i 1948, decided to revive the association and elected Col. N. Rahman, the then Librarian of Allahabad University as President and Mr. M.M. Goswami as its general secretary. The constitution was drafted and adopted but again it could not survive longer and had to become defunct after sometime. On 1st September, 1956 in the presence of the, then Chief Minister of U.P. Dr. Sampurnanand after a gap of seven years, the Association was again revived and a meeting of librarians was called by Dr. Prof. Radha Kamal Mukherjee, Ex-Vice Chancellor of Lucknow University and a noted sociologis. This meeting was presided over by Prof. S.Bashiruddin, the then Librarian of Aligarh Muslim Univesity. Mr. C.G. 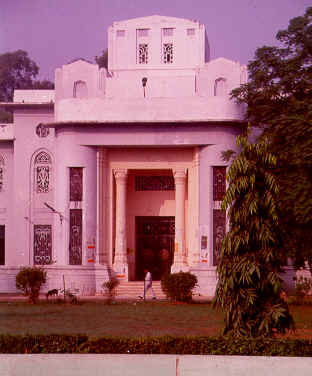 Vishwanathan, the then Librarian of B.H.U., was elected as President and Mr. K. Kumar the then Librarian of Amir-ud-daula Public Library, Lucknow, as its General Secretary. Since then the Association has been actively discharging its obligations to achieve its objectives. The constitution of the Association was amended from Unitary System of structure to Federal structure as all librarians of the wast territory of the U.P. State Could not gather togather at one place. As such branches of the Association was opened in different distructs like Lucknow, Allahabad, Varanasi, Kanpur, Gorakhpur, Moradabad, Dehradun, Ghaziabad, Agra, Bareilly, Saharanpur and Faizabad. UPLA's efforts are currently under way to open branches i place like Deoria, Gonda, Bahraich, Bulandshahar, Itawah, Muzaffarnagar, Bijnore and Azamgarh. The Association is governed by an elected executive committee. The executive formulates policies and programmes to be executed by sub-committees and branches. However, the branches are free to formulate their own programme. The Association has more than five hundred life members and seven hundred ordinary members. UPLA starated a certificate course in Library Science, to provide training for preparing semi-Professionals and Librarians of small libraries and scools, in 1959. Duration of course is four months. In 1970 Education Department of U.P. Government took over the responsibility of conducting and controling examination of this course throuhg its Registrar, Departmental Examinations. At present UPLA has 13 Schools of Librry Ascience i districts Allahabad, Dehradun, Kanpur, Ghaziabad, Moradabad, Lucknow, Varanasi, Jhansi, Roorkee, Agra, Nainital, Gorakhpur and Faizabad. About 550 students are trained every year in these shcools. Its branches also organise short tern refresher courses. U.P. Library Association started its publication of Library Chronicle in 1957 under editorship of Prof. C.G. Vishwanathan but it could not survive due to paucity of funds. The Associations Lucknow Branch published Lucknow Librarian, a quarterly journal. It has so far published 21 volumes, since 1962. Granthalayee is a bilingual annual publication of UPLA schools of library science. It contains articles of students interest and activities of the Association, its branches and schools. Since 1982, UPLA brings out a bimonthly News Bulletine. It has so far completed 12 volumes. A two volumes publication of UPLA Lucknow Branch has been brought out making update assesment of ajour issues of Library and Informatin Science.